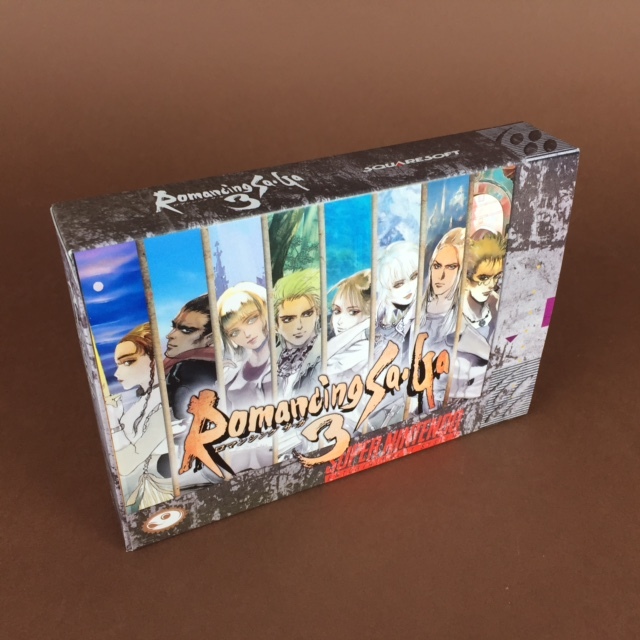 Romancing SaGa 3 is a Squaresoft RPG, released in 1995 in Japan for the Super Famicom. It is the sixth game in the SaGa series. The main characteristics of the series are an emphasis on non-linearity and replay value. In the beginning, the player chooses which of the 8 main characters to play as, each with their own storyline and perspective. Not only does the player journey through their selected character’s story, but there’s also a great deal of side quests they may choose to complete. The only connection between the three Romancing SaGa games is the presence of The Bard, mascot of the entire Romancing trilogy, only playable in this game. In the Romancing SaGa universe, the “Death Eclipse” hits the Earth every 300 years. The Star of Death is a star that travels before the sun, occurring a deadly eclipse. Blocking the sun, it then radiates a powerful energy that kills any newborn life on the planet, be it plants, animals, monsters, or humans. However, one day, about 600 years ago, when the Death Eclipse hit the land, a newborn human child survived before the mortal grasp of the star. Gifted with incredible power, this child grew up and became a powerful king, naming himself “The Devil King”. He ruled with an iron fist over the land, lavishing terror all over the land and destroying countries that didn’t pleased him. With Pidona as its capital, he ruled the world, and eventually even opened the Abyss, freeing the fearsome Devil Lords to serve him. But one day, the Devil King vanished, and the Devil Lords were left without anyone to contain their infinite maliciousness. So they started a rule of destruction and terror over the condemned world. However, 300 years after the last, the Death Eclipse occurred again. And then again, a single child survived and been blessed by the Abysses. However, he didn’t grow as a devil this time. Growing up in a desolate land ruled by the Devil Lords, he became a true hero, and supported by many strong allies and legendary artifacts, he became the Holy King and vanquished the terrible Devil Lords, which were brought back to the depth of the Abyss, once again closed. This all started a new age for the world under the peaceful watch of the Holy King. However… Around 15 years, the Death Eclipse occurred at new, and the time when the blessed child will be revealed drew nigh. No one knew yet who it is, and if he will be a King of Salvation… Or a King of Destruction ?